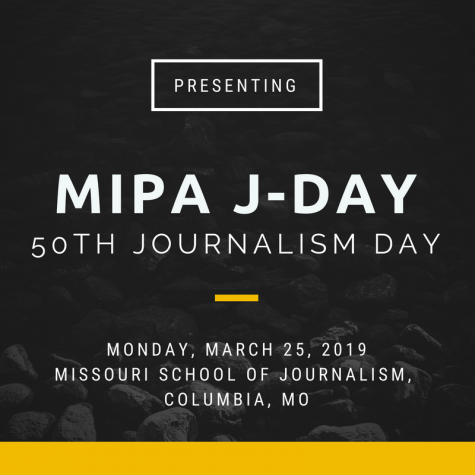 MIPA is pleased to announce the line up of speakers and sessions for J-Day 2019! Brian McGill is a Multimedia Editor for Politics and Policy at The Wall Street Journal. Prior to joining WSJ, he worked at the Atlantic Media, The Tampa Tribune and the Springfield (Mo.) News-Leader. McGill conveys his reporting and analysis of news through data visualizations for both print and online platforms. His work includes everything from information graphics, 3D modeling, interactives, news games, cartography and illustrations. Projects he has reported on include four presidential elections, NASA, gender inequality, sporting events, economic development, historical events, etc. Support for McGill is provided by the William Randolph Hearst Endowment for Visiting Professionals, established in 1990 at the Missouri School of Journalism by the William Randolph Hearst Foundation. 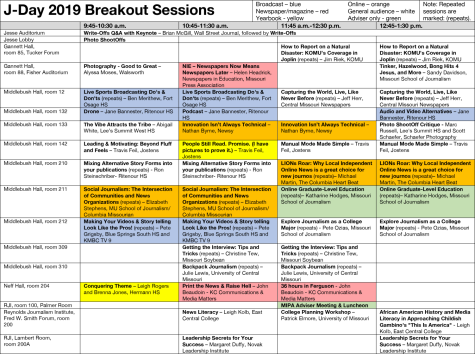 Breakout Sessions include: A schedule will be set up in mid-March and shared here. 36 hours in Ferguson – covering disasters or crime- John F. Beaudoin, KC Communications & Media Matters – Whether you’re covering protests, a riot, a trial, a house fire or a car accident, where you go, how you approach the situation and what you do when you arrive will dictate the tone and tenor of your story. Beaudoin will discuss his experiences from covering deadly tornadoes and student protests to the time he hopped in his car and drove to Ferguson during the height of the unrest. African American history and media literacy in approaching Childish Gambino’s “This Is America” – Leigh Kolb, East Central College – Childish Gambino’s “This Is America” is rich with allusions and symbolism that students can analyze through the lens of African American history. We will discuss how having historical knowledge can deepen media literacy skills and appreciation of media, specifically pop culture. 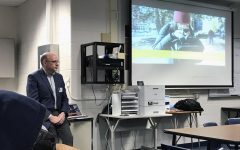 Audio and Video Alternatives – Broadcast – Jane Bannester, Ritenour HS – As schools access new technologies, like the Chromebook, to create a 1:1 environment, we have to imagine new ways to create content for our newsroom. This session will explain easy, budget-friendly ways to weave audio and video alternatives into your staff room through the use of cloud-based programs. You will leave having the tools accessible to you at school, alternative software options, and different ways to implement content into your own publication. Backpack Journalism – (repeats, 2 sessions) – Julie Lewis, University of Central Missouri – Today, reporting tools can fit in a backpack: a video camera, portable editing software, a laptop, and an Internet connection. The era of the citizen reporter is HERE and it is revolutionizing news reporting. Advisers and students can find out about how the Backpack Journalism Project at the University of Central Missouri in Warrensburg, Mo. empowers student journalists to use new media tools and relatively inexpensive video equipment to produce coverage. Capturing the World, Live, Like Never Before – New Tools – (repeats, 2 sessions) – Jeff Herr, Central Missouri Newspapers – Participants will learn how to use lenses, overlays, filters and other tools to take live video into the newsroom and to our core audiences. As well, a nod to revenue opportunities will help get these projects funded and delivered. College Planning Workshop – College Planning – Patrick Elmore, University of Missouri – Learn about the application process as well as the ACT, financial aid, campus life and more. You’ll also get information about steps you can take now to ensure your success down the road. 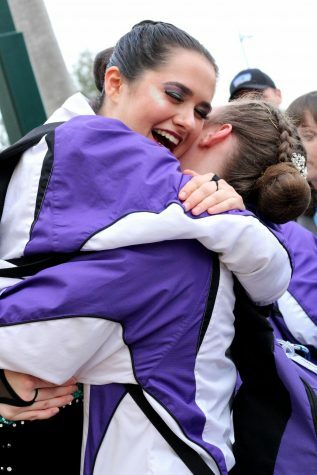 Conquering Theme – Yearbook – Leigh Rogers and Brenna Jones, Hermann HS – Creative Development of Theme. This presentation covers abstract ways to approach theme development and how to engage your team in the creative process. We will discuss ways to reach a demographic, how to structure design around a theme, and the power of the classroom brainstorm. 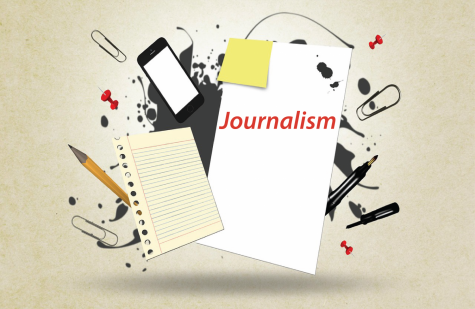 Explore Journalism as a College Major – College Journalism – (repeats, 2 sessions) –Pete Ozias, Missouri School of Journalism – This session is an opportunity to visit with an academic adviser about majoring in journalism in college. Participants are encouraged to bring questions about admissions, classes, internships/jobs, graduate study and other areas of curiosity. Getting the Interview: Tips and Tricks – Sources and Storytelling – (repeats, 2 sessions) – Christine Tew, Missouri Soybean – Do you have a story idea and not know where to start? Or keep getting turned down for interviews? Leave with 7 strategic ways to find strong sources and get them talking. How to Report on a Natural Disaster: KOMU’s Coverage in Joplin – Breaking News – (repeats, 2 sessions) – Jim Riek, KOMU – For one year I led a large group of KOMU student reporters and producers to Joplin to cover the devastating May 22, 2011 ef-5 tornado which killed 161 people. KOMU is the only television station in the country that has the resources to send 5 to 10 reporters week after week to a story 250 miles away. I, along with KOMU Meteorologist Michelle Bogowith, made 39 combined trips to Joplin during those 12 months. We felt like we had become a part of the Joplin community, and were welcome with open arms! We won many reporting awards including the National Society of Professional Journalists national documentary of the year titled “32 Minutes in May” this 30-minute piece followed the two storm chasing teams which captured the only known video of the tornado on the ground. 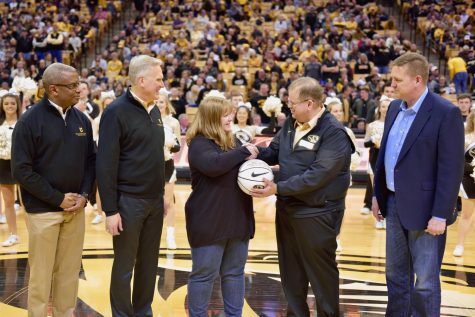 Michelle and I also received a Missouri House of Representatives resolution for helping fellow Missourians in need. Finally, we co-authored a 400 page book titled “Joplin, Our Words, Our Stories, Their Hope.” Proceeds went to the non-profit Rebuild Joplin. The presentation will be about the difficulty yet the gratitude of covering a horrible disaster many miles away. Innovation Isn’t Always Technical – Fundamentals – (repeats, 2 sessions) – Nathan Byrne, Newsy – Many legacy news organizations have had to retrofit to survive. Pivots to video and investments in other unfamiliar technology are rarely instant fixes. Newsy’s beginnings as a digital startup sometimes earn it a “shiny things” reputation. But the secret to its successful evolution into a national news network is rooted in the human component. 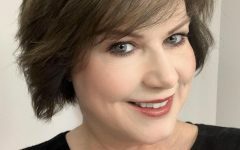 Leadership Secrets for Your Success – Leadership – (repeats, 2 sessions) – Margaret Duffy, Novak Leadership Institute – We’ll provide an outline of the proven principles of leadership from David Novak, retired CEO of YUM! Brands (KFC, Pizza Hut, Taco Bell). 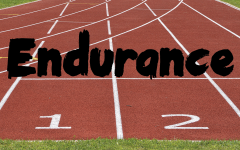 Leading & Motivating: Beyond Fluff and Feels – Leadership / Motivation – Travis Feil, Jostens – If you’ve ever had a conflict on staff, and we ALL have, you’ve got to attend this session. No matter how small or seemingly short-lived the conflict might be, the impacts of negative staff relationships are mind-blowing. Research will be shared to reveal the problem of negativity and how serious it is, and strategies will be shared to solve it by helping your staff get positive and productive in real, meaningful ways. LIONs Roar: Why Local Independent Online News is a great choice for new journos – Online News – (repeats, 2 sessions) – Michael Martin, The Columbia Heart Beat – I’ll be talking about my success, for 14 years, with the Columbia Heart Beat, an online-only news publication in Columbia, Mo; and LION. Making your videos & story-telling look like the pros! – (repeats, 2 sessions) – Pete Grigsby, Blue Springs South HS & KMBC TV 9 – Proper Video Shooting & Technique for stories, such as framing, lighting, angles, natural sound, etc. Manual Mode Made Simple – Photography – (repeats, 2 sessions) – Travis Feil, Jostens – Still confused about the manual settings on that camera? Still feel like “F-Stop” is sort of a dirty word? No shame. You’re not the only one. This session will take the mystery out of shooting in manual mode so you understand (and know how use!) ISO, shutter speed and aperture to make breathtaking images of your very own. Trust me; it’s not as hard as it seems. Really. If I can learn it, anyone can. Bring your camera if you have one. No worries if you don’t. MIPA Business Luncheon– MIPA board members – This meeting is for advisers, speakers and vendors only. 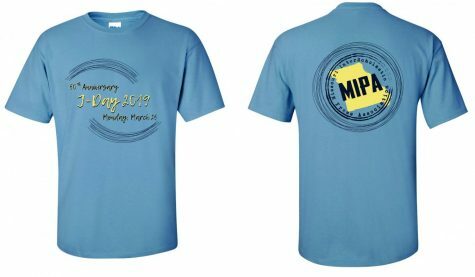 During this annual session board members offer updates on MIPA events and programs, the new board will take office, speakers and teachers may meet each other, some speakers have requested time to address the room, lunch will be available ($ for catered sandwiches and sides, sign up during registration) or you may bring your own lunch from home or off-campus, etc. Mixing Alternative Story Forms into your publications – Alternative Storytelling tools (repeats, 2 sessions) – Ron Steinschriber, Ritenour HS – While the inverted pyramid format is still crucial to news writing, there are many different forms of writing that can draw readers into your publication. In this session, we will talk about alternate storytelling forms that have been used in our school newspaper and yearbook to draw in readers, as well as some others that we have seen in other news sources that we are planning to incorporate in the near future. News Literacy – Leigh Kolb, East Central College – Students and teachers will learn how essential news literacy skills are for not only news consumers and citizens, but also future journalists. News literacy empowers students to be able to consume news with confidence (and added interest), and can inspire them to go into the field of journalism. 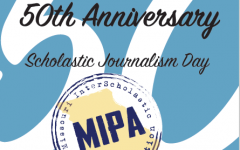 Newspapers in Education – Newspapers Now Means Newspapers Later – Newspapers – Helen Headrick, Newspapers in Education, Missouri Press Association – Attendees will learn of the Newspapers in Education program, its history and impact on students. They will hear the hard numbers about local newspapers and overall subscription levels. With so many news platforms available, they will learn the unique way NIE improves academic skills, citizenship and future readers. Online Graduate-Level Education – Graduate Education – (repeats, 2 sessions) –Katharine Hodges, Missouri School of Journalism – Online graduate-level courses can help teachers expand their knowledge and skills as well as contribute to their progression on the career ladder. Advisers from the J-School Graduate Studies office will be available to discuss online courses, degree programs, certificates and the like. People Still Read. Promise. (I have pictures to prove it.) – Yearbook – Travis Feil, Jostens – Writing a great yearbook story – that your audience will actually enjoy reading – is totally possible and even sort of fun. Come learn a step-by-step process that leads to a final draft your students will love and appreciate. There might even be prizes. Maybe. Photography – Good to Great – Photography – Alyssa Moses, Walsworth – Learn how to take your photography from good to great. Learn how to get the right photo, and pick the best one. Photo ShootOff Critique – Marc Russell, Lee’s Summit High School and Scott Schaefer, Schaefer Photography – Come take a look at what the photographers turned induring the Photo ShootOff event this morning. Award-winning photography teacher and a professional photographer will offer critiques of the work. Podcast – Broadcast – Jane Bannester, Ritenour HS – I want to welcome you to the world of podcasting. Those who attend this session will leave with easy ways to introduce audio production into their newsroom. Podcasts can be an easy addition to any publication that is looking for a multimedia appeal. 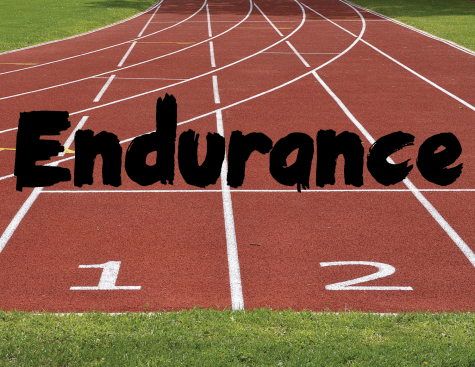 You will leave with the tools and resources needed for creating podcasts, ideas for content and where to find examples for your students to learn from. Print the News & Raise Hell – Newspaper – John F. Beaudoin, KC Communications & Media Matters – Your news, sports and feature writing components may be the backbone of your newspaper, but editorials, columns and editorial pages can often prove to be your heartbeat, invoking emotion, driving conversation and setting the tone for your editorial policies. Writing compelling editorials and columns takes a willingness to be bold while showing a responsibility of the newspaper to shine a light on wrongdoing, corruption or misconduct. Q & A Keynote Speaker – Brian McGill, Wall Street Journal – After he presents the keynote, McGill will be available for a Q&A session before the Write-Offs start. Anyone may stay to hear the questions and his responses. Social Journalism: The Intersection of Communities and News Organizations – Social Journalism – (repeats, 2 sessions) – Elizabeth Stephens, MU School of Journalism/Columbia Missourian – How does social media play a part in journalism? How do we engage with our audiences from the beginning to produce better journalism? How do we reach the right audience with our content? With the social tools we have, we can connect with audiences in new ways. As a journalist, you need to learn how to filter through the noise and find your audience. 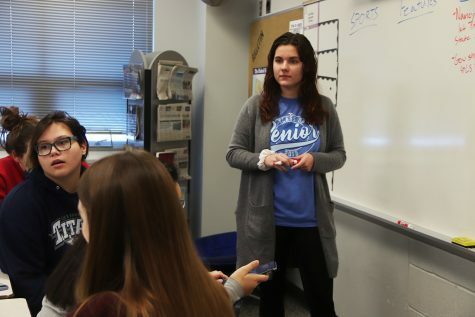 The Vibe Attracts the Tribe – Editorial Leadership – Abigail White, Student Journalist of the Year, Lee’s Summit West HS – Leading through common grounds, hot chocolate and fidget spinners: how to give staff a home in your high school. Campus tours must be requested by the adviser for their group. The adviser should go to: http://missouri.edu/visitors/field-trips.php. Due to MU being on spring break during J-Day, there will be a limited number of tour guides available. Tour requests will be processed in the order they are received. Disregard the ‘eighth grade and up’ bullet point. In the comments area, mention you are on campus for J-Day. 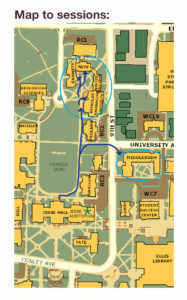 If you cannot get a guided tour, you may do a self-guided tour of campus by visiting: https://www.youvisit.com/tour/missouri?tourid=tour1&pl=v&m_prompt=1. Katharine Appuhn-Hodges is a senior academic adviser at the Missouri School of Journalism. Jane Bannester is celebrating her 23rd year at Ritenour High School in St. Louis, MO. Bannester leads the nationally, award-winning Media program, KRHS Media. She presents locally and nationally on using audio and video in the classroom. John F. Beaudoin is the a former Editor and Publisher of community newspapers in Iowa and around Kansas City. He has won more than 20 state and regional awards for his columns, editorials, news writing, photographs and newspaper design. 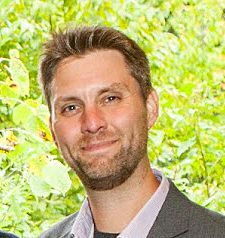 Nathan Byrne is Newsy’s supervising editor of academic partnerships. His program identifies potential talent, recruits students and trains future Newsy employees. Byrne has more than 20 years’ experience in journalism and mass communication including local television, corporate marketing/public relations and digital startups. Sandy Davidson, Ph.D., J.D., is a Curators’ Distinguished Teaching Professor. She teaches communications law at the Missouri School of Journalism and is the attorney for the Columbia Missourian. Novak Leadership Executive Director Margaret Duffy. 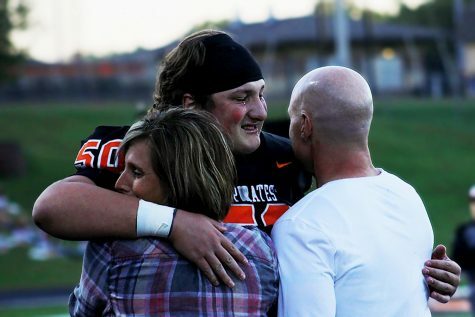 Travis Feil advised the All-Kansas and All-American yearbook at Sterling (Kan.) H.S. prior to joining Jostens in 2012. He served on the Kansas Scholastic Press Association Executive Board as an Area Representative, the First Amendment Response Committee Chairman, the Regional and State Contest Committee Chairman and President-Elect. With Jostens, Feil serves as lead instructor in the training and development department, represents the Midwest on the corporate council and has received numerous achievement awards. He frequently instructs at local, state, regional and national workshops and serves schools daily in the Wichita and Kansas City metro areas. Helen Headrick taught for many years in a St. Louis Archdiocesan school and used NIE faithfully. From there she went to a small television station as their Education Coordinator. When the NIE manager position at the St. Louis Post-Dispatch opened up, she jumped at the chance to create content and encourage teachers to use NIE. As Headrick retired, the part time NIE position at the Missouri Press Association became available. It gave her an opportunity to continue promoting the value of local newspapers as well as create content for a wider audience. Jeff Herr. Our FlyPaper digital agency will bring forward these new tools, live and in person. Kayla Arnold is our campaign specialists and Gus Siebert is our video-production specialist. Kara McNabb and Alanna May are multimedia strategists. Brenna Jones has been in yearbook for two years. She was copy editor her junior year and is now senior editor. She specializes in design and article writing, and in her two years, she won first place in a MIPA feature contest, second place in a MIPA editorial contest, and second place in another MIPA feature contest. Leigh Kellmann Kolb is an assistant professor of English and Journalism at East Central College in Union, Mo., where she also advises student media. Kolb’s film and television criticism has appeared in print and online publications, and she also writes for schooljournalism.org. Kolb is a screener for True/False, a documentary shorts juror for the St. Louis International Film Festival, and is a board member and programmer for the Riverside Short Film Festival. In 2017, she won the MIPA Contributing Media of the Year award. Julie Lewis is an instructor at the University of Central Missouri teaching journalism, communication and leadership courses. She has her student-journalists grab their gear and go to the story, whether is it the other side of the world or their our own backyards. She has lead Journalism project’s abroad with analytics to prove the students’ real time social media first coverage helped each story find creative ways to meet their readers needs. Mike Martin has published the local independent online Columbia Heart Beat since 2005. With a back-to-journalism basics approach in the spirit of Upton Sinclair, Woodward and Bernstein, Ida Tarbell, Jacob Riis, and others, the Columbia Heart Beat seeks to afflict the comfortable while comforting the afflicted. We seek to check the powerful few, while nurturing our nation’s most fundamental promise: that power forever resides with the many, i.e. The People. Brian McGill is a national multimedia editor for the Wall Street Journal in D.C. and grew up in the Kansas City area. Brian was in charge of the WSJ’s exit polls and used AP data to create/automate 200+ graphics with election results. Brian said he was a photojournalism major at Mizzou until his senior year, changing his career focus to graphics after enrolling in a course on the subject. Never looked back! Ben Merithew has been teaching high school journalism for more than 10 years. He has advised newspaper, yearbook, online news and broadcasting. Merithew started live broadcasting sporting and regular events at Fort Osage High School with his students in 2014 where they regularly produce more than 40 live sporting events each year. He received the MIPA Journalism Teacher of the Year in 2011 and is a past president of the organization. Alyssa Moses has been a professional sports and lifestyle photographer for over 6 years. She has worked with the Rams, Blues, and Cardinals in her career and loves to mentor new photographers to become the best they can be. The J-School’s Director of Undergraduate Advising Pete Ozias has worked many years with students from a variety of majors, developing innovative programs aimed at meeting student service needs. Highlights of his work include program coordination and teaching students the finer points of persisting to graduation. Ozias holds advanced degrees in both sociology and counseling. Jim Riek studied at MU and Missouri Southern College in Joplin. He has worked at KTVJ TV, Joplin weekend sports and weather anchor; KCBJ TV, Columbia, Sports Director; KRCG TV, Jefferson City, Sports Director; KGBT TV, Harlingen, TX News anchor and reporter; and KOMU TV. Columbia, News anchor 5-6-9-10 o’clock newscasts, (1997-2017). Leigh Rogers has taught yearbook at Hermann High School for five years and is the North of Highway 50 Representative for MIPA. 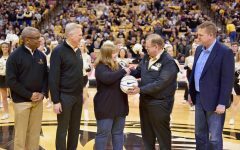 Rogers also worked in her college Public Relations department, as well as on the staff of her college newspaper and magazine at William Woods University. Marc Russell has advised the award-winning media programs at Lee’s Summit High School for nearly three decades. Scott Schaefer owns and operates Schaefer Photography in Columbia, Mo. He studied Broadcast Journalism at the University of Missouri School of Journalism and started his career as a Photojournalist at KOMU 8 News in Columbia, Mo. While there, he earned the National Edward R. Murrow Award, the Society of Professional Journalism’s Sigma Delta Chi Award, the National Association of Broadcasters Service to America Award and 15 Mid-America EMMY® Awards from the National Academy of Television Arts and Sciences for his work as a Photojournalist. Scott has shot for NBCSports.com, ESPN, Fox Sports Midwest, Bloomberg News, Entertainment Tonight among others. Ron Steinschriber is a journalism teacher at Ritenour High School. He has advised the newspaper for 10 years, and was the yearbook adviser for seven years. Prior to his teaching career, Steinschriber was a stringer who published stories in the St. Louis Post-Dispatch, the St. Louis Jewish Light, and Fresno Neighbors. Elizabeth Stephens is the director of community outreach at the Columbia Missourian. She has worked in a number of roles at the Missourian including news editing and design. Prior to coming to MU, she worked as a copy editor and designer in newspapers and online web services. Christine Tew has worked in communications and public relations for more than ten years, highlighting the accomplishments of leaders in natural resources management, food production, and so much more – and connecting journalists and other public relations professionals to great stories along the way. Abigail White is the proud Editor-in-Chief of the Lee’s Summit West Titan Scroll. 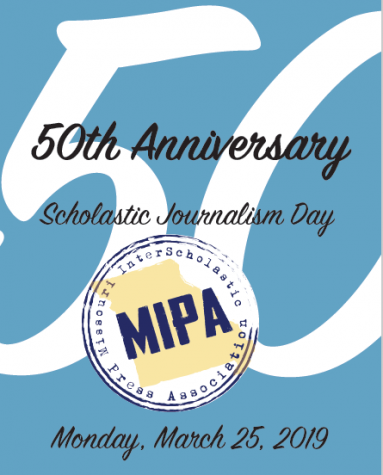 She was awarded the 50th Anniversary MIPA Student Journalist of the Year and will be attending the Missouri School of Journalism fall 2019. 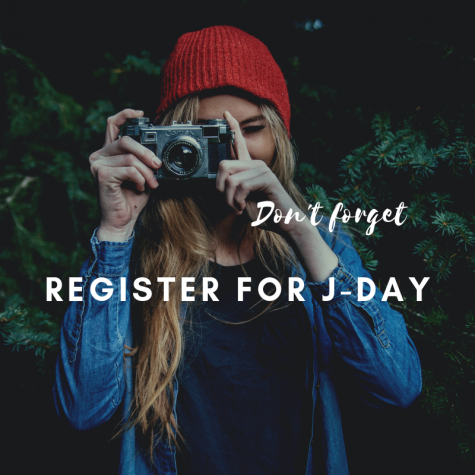 I am probably over looking this but where do I find J Day registration?